Over the past decade, we have witnessed the emergence of revolutionary innovation, of which the evolutionary significance is yet to be fully recognized. Of course, we’re referring to the blockchain, cryptocurrencies, and more generally the phenomenon that we describe as the Internet of Value. The blockchain and related technologies have the opportunity to transform the world of finance, and other value systems, in exactly the manner by which the Internet has transformed the way we exchange information. There have been some key milestones leading up to this point: the launch of Bitcoin in 2008; the emergence of altcoins from 2011 onwards; the launch of Ethereum in 2015. We call this Layer 1 — the foundational level — with the economic function of value creation, and the technical one of ensuring the basic functionality of accounting and transfer of crypto assets. All this is implemented on the basis of distributed registries and with the conditions of interaction strictly regulated at the code level. 2. Constantly growing need for memory, for local storage of copies of distributed registries. 3. High transfer fees (the cost of consensus will always be higher than the cost of confirmation in non-distributed databases). Of course, some blockchain systems are trying to solve these problems. Some even do. But their efforts rest mainly with reducing decentralization and lowering resistance to censorship (which is more suitable for enterprise solutions than for the universal Internet of Value). Furthermore, these efforts are isolated to individual projects, without providing an answer to the shared problems of the existing ecosystems: Bitcoin, Ethereum and others. 4. The absence or extreme limitation of interoperability; the impossibility of interaction between different blockchain-ecosystems. All four of these restrictions relate to the problems of Layer 1. The problems of the first group (1–3) are already being addressed both by the developers of individual blockchains and ecosystems, as well as by special projects, the broad goal is to create some kind of overlay over popular blockchain systems. Examples might include projects such as Lightning for the Bitcoin ecosystem or Raiden for Ethereum. Therefore, solutions that address the problems of the first group are referred to as the so-called Layer 2. Layer 2 is actually an off-chain superstructure above the baseline (Layer 1), designed primarily to solve problem number 1 — scalability. Most proposed solutions involve state channels or side chains. The major benefits include increased productivity and reliability as well as trustless operation. Layer 2: solving scalability problems with state channels and side chains. 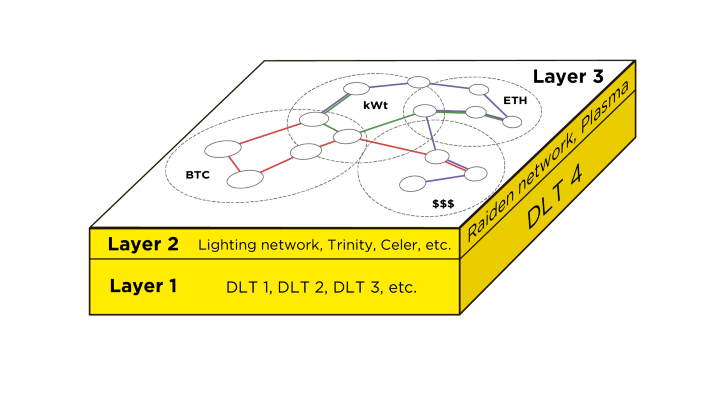 Layer 2 projects such as Lightning Network, Raiden Network, Trinity Network (payment channels), as well as Celer Network and Counterfactual (generalized state channels) belong to state channel projects. Meanwhile, Plasma, RSK, and Liquid use side chains to solve the problem of scalability for basic blockchain systems. But, as we discussed above, none of them solves our problem number 4 — the problem of interoperability. And although projects such as LN and Raiden state that they will in the future, that’s quite a challenge for any project focused on a specific DLT. The fact is that the provision of atomic untrusted transactions between two different blockchains is an extremely difficult task due to differences in technological approaches and the misalignment between project schedules. But why is this such a serious problem? Let’s try to imagine a physical world without interoperability, using some historical examples. 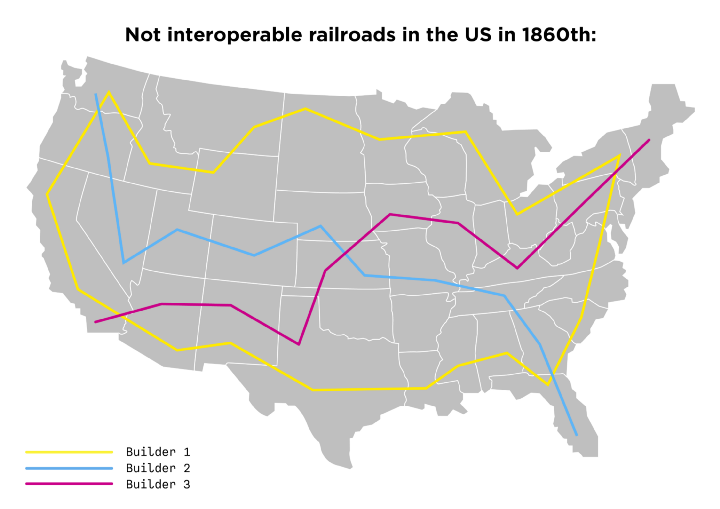 In the 19th century, the United States experienced a boom in railway construction. Several large companies were engaged in the construction and development of a network of railways. But imagine the consequences if each of these companies had built a railroad to their own standards, incompatible with the others? Different track gauges, different rail shapes, etc. Perhaps one of these hypothetical widths or shapes would be more optimal than that used today, or some of these standards would be better suited for specific tasks. However, each company would have to forge its own line to each point, while producing separate cars and locomotives compatible with their proprietary standards, and so on. Instead of one universal railway station in each village, we would have to build several different ones for each of the incompatible railway networks. What do you think would happen in this case? Would the railroad still have become an essential conduit for the development of new territories, the improvement of economic ties between regions, etc.? In other words, how would a lack of interoperability have affected the adoption of this technology? On the other hand, should Layer 2 projects even try to solve the problem of interoperability? In our opinion, this problem belongs to a different level; namely, Layer 3. And this means that it’s better to solve it separately and with the help of more specialized approaches. - Link layer: various technologies and data transfer protocols between devices on the local network, for example, Ethernet, WiFi, PPP, HDLC, etc. - Network layer: protocols that transfer data over a wide area network. - Transport layer: protocols responsible for the complete delivery of data, etc. The peculiarity of the Network layer is that it is as abstract as possible from lower-level protocol technologies. Its task is to ensure the possibility of global data transmission, or, in our terms, to ensure interoperability for various devices and local area networks (LANs), binding all of them into a single global network (the Internet). - Should be based on off-chain technologies. - To be blockchain-agnostic, i.e. not be tied to a particular blockchain-ecosystem. - To provide the possibility of trustless multi-asset transactions, i.e. allow easy exchange of one cryptoasset for another in the process of making a payment. - To ensure payments’ atomicity. As for atomicity, we should return to the analogy using the conventional Internet. It transpires that the Transport layer is in charge of the analogue of atomicity: it’s rendered into a separate technological layer there. 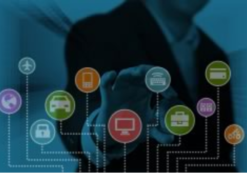 Whether a similar state of affairs will eventuate in the case of the Internet of Value will only be known with time. Meanwhile, this problem should be tackled one way or another. In general, precisely because of the characteristics discussed above, Layer 3 technologies are not restricted to ensuring interoperability and combining individual blockchain systems into a single global network. They can also connect traditional financial systems and physical assets, or other non-blockchain value carriers. 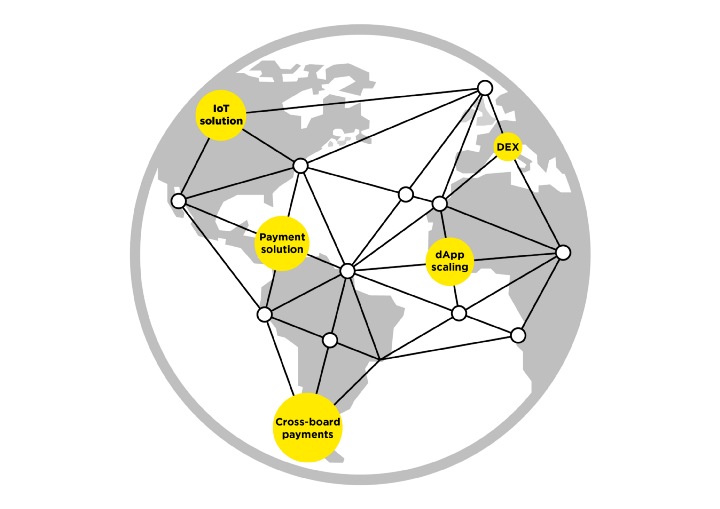 Just as the Network layer in the conventional Internet abstracts from specific low-level data transfer technologies and ensures their global interaction, Layer 3 technologies in the Internet of Value can provide interoperability and global value transfer, regardless of where this value comes from or what its basic carrier is. 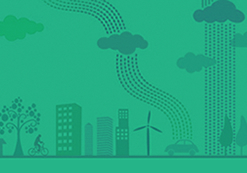 - Solutions in the field of Internet of Things (IoT), and others. However, the most significant benefits will flow from the network effect of the Internet of Values. Each new service, and each new participant attracted by this service will increase the value of the entire Internet of Value network for all participants, including the various DLT projects. Imagine if someone in the 1970s, exposed to only a few local area networks, were asked to describe a global Internet of the future — one that would allow half of the world’s population to instantly share any information. Imagine if they were asked to predict how this would affect the economic, professional, and social life of people. In the 1970s, it would be very difficult to predict what is now commonplace to us. Similarly, at our present stage of evolution, it is very difficult to imagine where a similar development — what we call the Internet of Value — will lead us. It’s likely that, at some point in the future, the basic DLT technologies (Layer 1) will perform the main function of the carrier of value, a kind of custodianship of specialized value. Developers will focus primarily on the thorough implementation of these basic and natural functions. 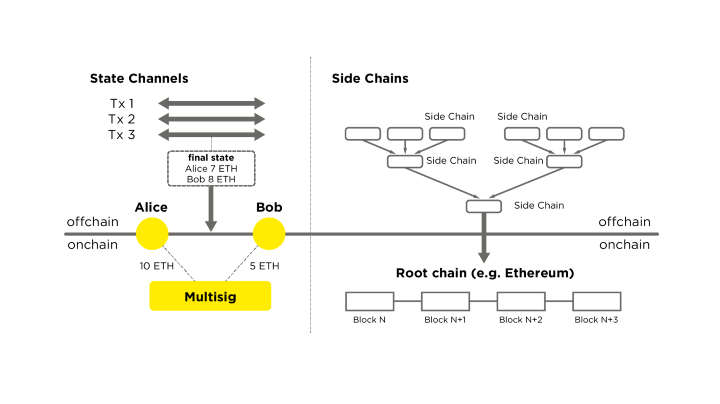 Meanwhile, the logistical functions for value transfer will be folded into the superstructures of the technological levels — Layer 2, 3, 4. Their task will be to solve a particular level of problems such as scalability, interoperability, and atomicity. Being separated into distinct levels of technology, they will be able to act beyond the limitations of lower-level technologies. This is especially true for interoperability. After all, a given blockchain-ecosystem, whatever it may be, is unlikely in itself to become what we could call the Internet of Value, just as WiFi could not become the internet. But all of them working together can. However, this will happen only in the event of the emergence of a Layer 3 technology which can ensure their interoperability. 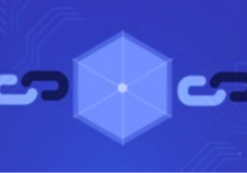 Max Demyan is at CEO, GEO Protocol, a decentralized p2p protocol that uses state channels and trust lines technologies and implements its own routing algorithm as well.